FOUR MEN CHARGED with conspiracy to murder a Dublin man have been remanded in custody. Alan Wilson, Luke Wilson, Liam Brannigan and Joseph Kelly are accused of plotting to murder Gary Hanley, 28, from Dublin’s north inner city. In an operation targeting organised crime gangs, gardaí from Special Crime Operations, assisted by the Emergency Response Unit and the Armed Support Unit, arrested the four men last Monday evening (6 November) in the north city centre. The probe was in connection to the ongoing feud between rival Hutch and Kinahan gangs, which has resulted in the death of 12 people. Gardaí also seized a firearm. The four men arrested for conspiracy to murder were detained for the past week under Section 50 of the Criminal Justice Act 2007. They were charged over the weekend and held pending their appearance before Judge Michael Walsh at Dublin District Court this morning. Alan Wilson, 38, from New Street Gardens, Dublin 8 and Liam Brannigan, 37, from Bride Street, Dublin 8 are charged with conspiracy to murder Gary Hanley at a location within the State between 15 September and 6 November last. Co-defendants Joseph Kelly, 35, from Kilworth Road, Drimnagh, Dublin 12 and Luke Wilson, 23, from Cremona Road in Ballyfermot, Dublin 10 are also accused of conspiracy to murder Hanley. They are also charged with unlawful possession of a Beretta handgun and 15 rounds of ammunition with intent to endanger life at Philipsburgh Avenue, Fairview, Dublin 3 on 6 November – the date of their arrest. 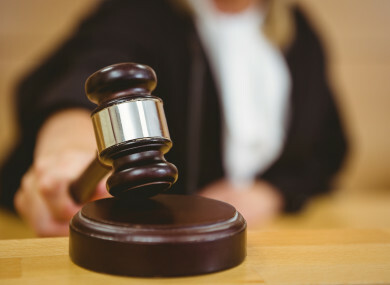 The District Court cannot grant bail in a murder conspiracy case. The men were remanded in custody, at the request of gardaí, to appear via video-link at Cloverhill District Court on Thursday. Detective Garda John Rourke told Judge Michael Walsh that Kelly replied “no comment” when he was charged on Saturday at a Dublin garda station. Defence solicitor Cahir O’Higgins said the accused was on social welfare and the judge acceded to his request to grant legal aid to his client. Detective Garda Declan Maloney said Luke Wilson “made no reply” when he was charged. His solicitor John O’Doherty said Luke Wilson was on social welfare and legal aid was granted after the court was provided with a statement of means. Liam Brannigan answered “no comment” when he was charged just after 8pm on Saturday at Store Street Garda Station, Detective Garda Anthony Kennedy told the court. Defence solicitor Edward Bradbury consented the garda application for his client to be remanded in custody to appear again on Thursday. He applied for legal aid, however the court was told there would be an objection from gardaí. Bradbury said his client had been on social welfare until eight weeks ago. He lived on Bride Street with his mother, the solicitor said. Judge Walsh deferred ruling on this legal aid application and said the defendant’s details had to be verified by the Department of Social Protection and passed on to the prosecuting garda. Alan Wilson “made no reply after each charge”, Detective Garda Brian Johnston told the court. He was granted legal aid and remanded in custody. None of the defendants addressed the court, however Alan Wilson could be seen acknowledging the presence of a supporter in the public gallery. The men have not yet indicated how they will plead to the charges. Email “Four men charged with conspiracy to murder Dublin man remanded in custody”. Feedback on “Four men charged with conspiracy to murder Dublin man remanded in custody”.